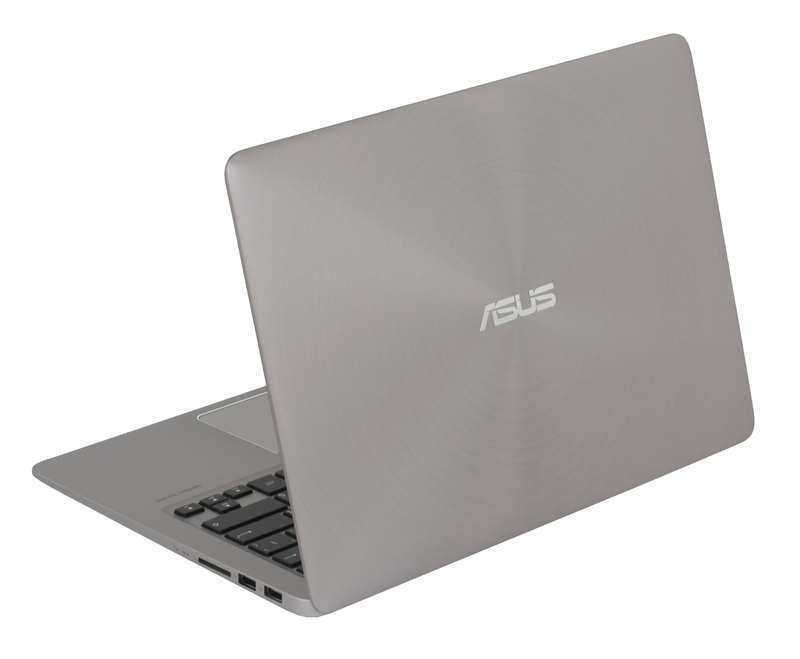 ASUS’ ZenBook UX series has always attracted a lot of attention and it’s easy to see why. 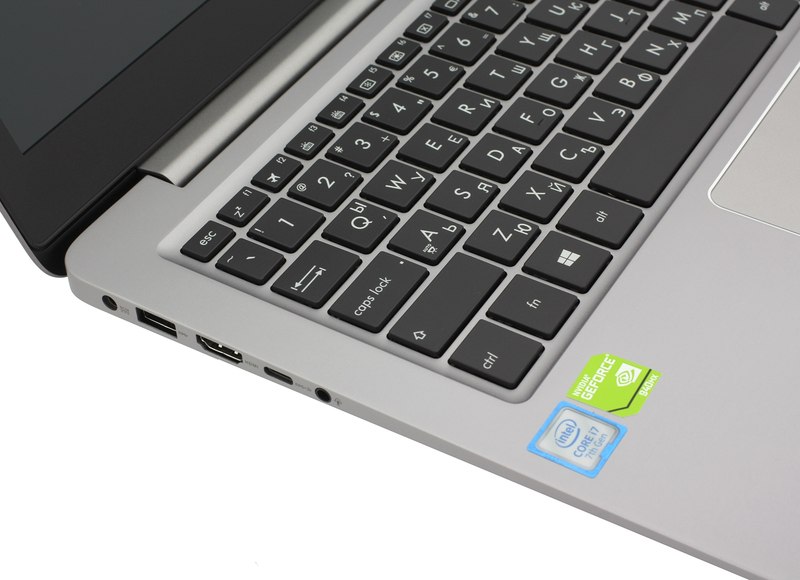 All of the ultrabooks from this lineup offer a fairly powerful hardware combined with excellent battery life, good multimedia capabilities in a thin and light package. What’s not to like, right? Well, just like everything life, the ZenBook UX310UQ isn’t for everyone and it really depends on what you are willing to sacrifice along the way. 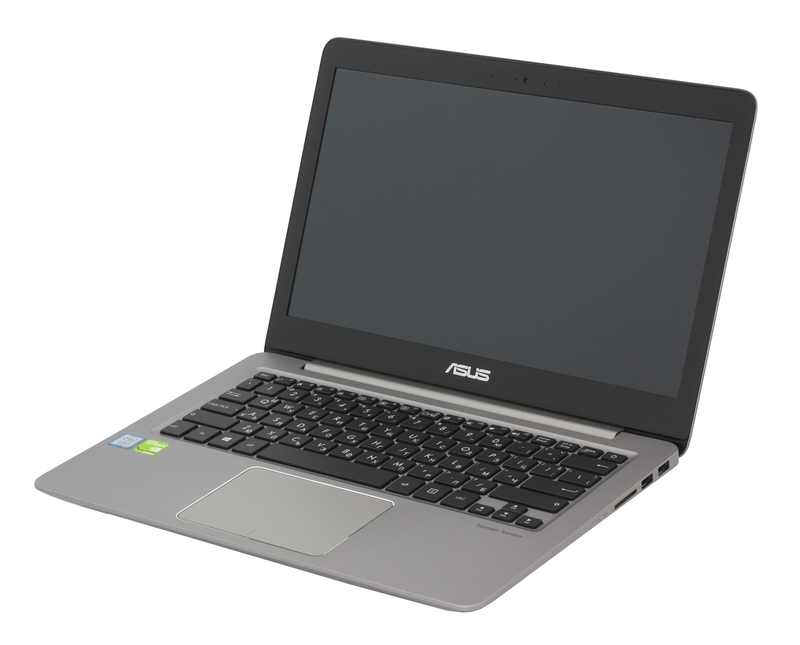 Just like the 14-inch UX410UQ, the 13-inch UX310UQ offers an ULV (ultra-low voltage) CPU like the Core i7-7500U, a discrete graphics solution – NVIDIA GeForce 940MX with 2GB of DDR3 memory and blazingly fast M.2 PCIe NVMe storage support, although our units arrived with regular M.2 SATA SSDs. Of course, the usual amount of memory is 8GB of DDR4-2400 and the 13.3-inch display offers a bright IPS solution suitable for multimedia. We were pretty impressed by the battery life and overall user experience that the UX410UQ carries but what about the smaller 13-inch installment? Is it any better or is it worse? Well, in most cases the 14-inch version is a better choice so continue reading to find out why. 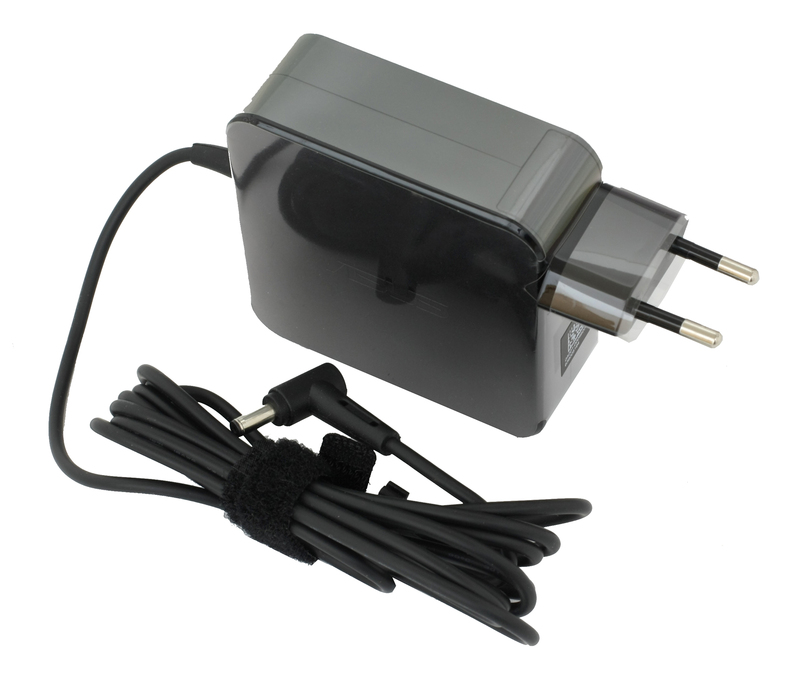 The package contains the usual user manuals, AC adapter and the laptop itself. The design and choice of materials are familiar. 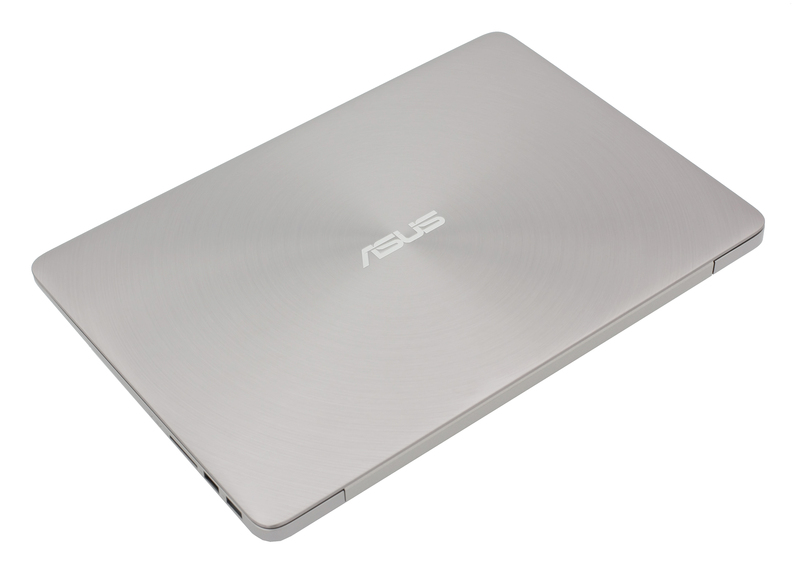 Nothing has changed compared to its predecessor and its bigger 14-inch sibling. There’s one thing that should be noted, though – the screen bezels appear to be thicker when compared to the ones of the UX410UQ, which makes the overall size of the machine mostly same. In this case, you might as well go for the 14-inch version since you get a slightly bigger screen in the same body. 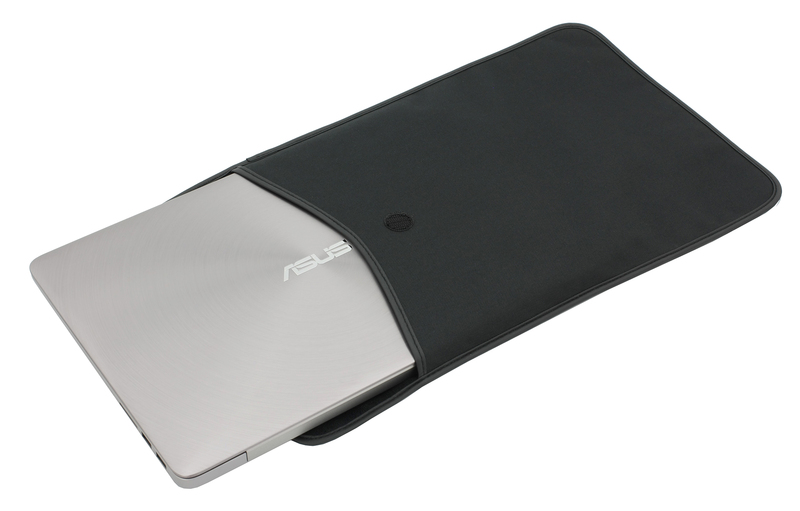 Anyway, the lid consists of a fairly thick brushed aluminum sheet with concentric texture that is once again stable and hard to twist. The surface is prone to smudges but because of the metallic color, they aren’t so prominent. The single-hinge design provides good stability, smooth movement and keeps the lid firmly in place. It also allows you to open the notebook with one hand. The bottom piece is made of anodized aluminum, it’s clean with no big grills – only two small grills are found towards the front for the speakers. The sides are remarkably thin measuring at just a little over 18 mm and accommodate the usual set of ports you’d find on a 15-inch device. The connectors are also well distributed on the left and right. Really convenient. The left side holds the 3.5 mm audio jack, a full-sized HDMI port, USB 3.0, and an USB 3.1 (Gen 2) connector as well. On the right, you can see two USB 2.0 connectors and the SD card reader. The USB 3.1 Gen 2 connector is a nice finishing touch because you can extend the I/O with a decent amount of plugs via USB-C hub. As the rest of the chassis, the interior incorporates anodized aluminum surface providing good stability in the keyboard area and around the palm rest section. The keyboard once again feels somehow spongy – each key press feels like you are pressing a tight spring – but that doesn’t really affect the typing experience in a big way. It just takes some time adjusting. Besides, we found the travel distance more than decent and the clicky feedback satisfying. 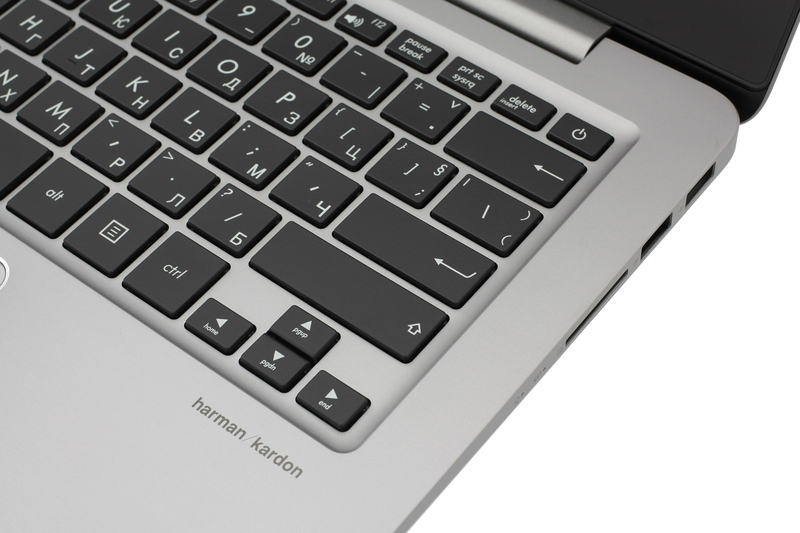 The keyboard backlight is discreet while the layout is standard and provides all the needed shortcuts. The touchpad is also really nice with excellent gliding surface, light mouse clicks, accurate and responsive. There’s nothing bad we can say about it really. To sum things up, the ZenBook UX310UQ’s chassis’ choice of materials is not only great but also makes it portable (18 mm thin)), light (just 1.4 kg) and sturdy. 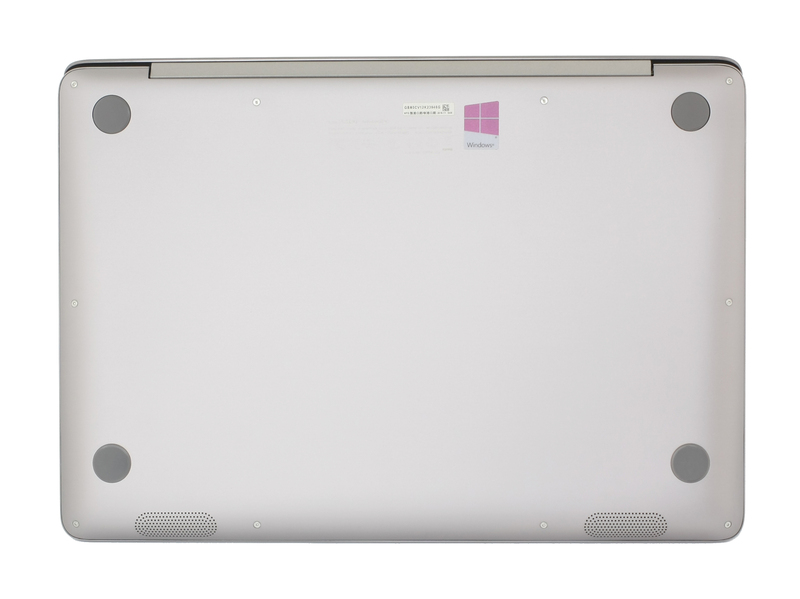 The hinge appears to be stable while the input devices can definitely get the work done on the go. The bottom piece comes off easily and gives access to all of the internals. And as expected, the ZenBook UX310UQ packs absolutely the same hardware as its bigger 14-inch UX410UQ sibling. 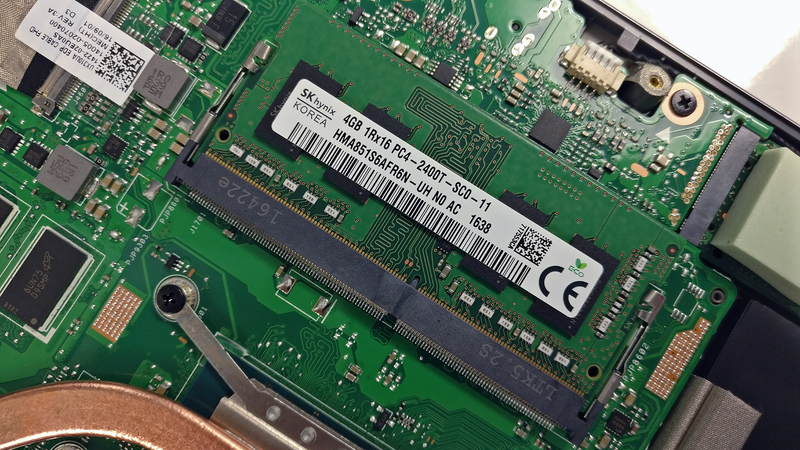 The laptop comes not only with the standard M.2 SSD slot but also packs a 2.5-inch drive slot available for upgrade. 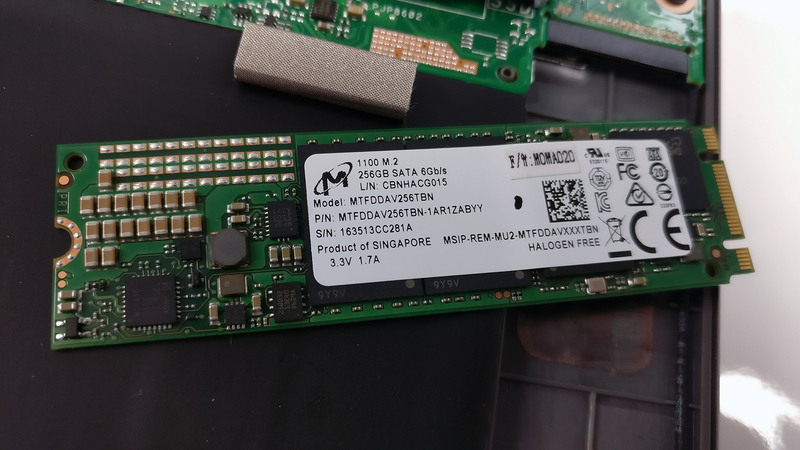 Anyway, the M.2 drive slot is taken by a 256GB Micron SATA SSD. We would have appreciated a PCIe NVMe SSD but this might just be a regional issue. The motherboard packs 8GB of integrated DDR4-2400 memory but our unit packs another upgradable 4GB DDR4-2400 chip as well. 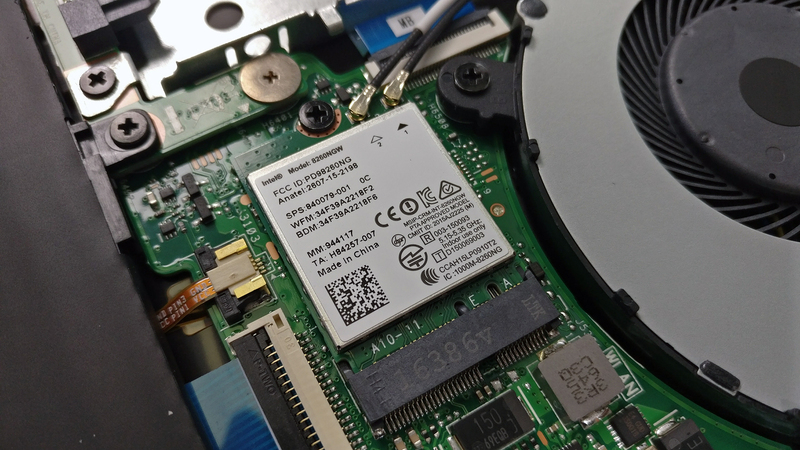 Intel 8265NGW takes care of the Wi-Fi connection. 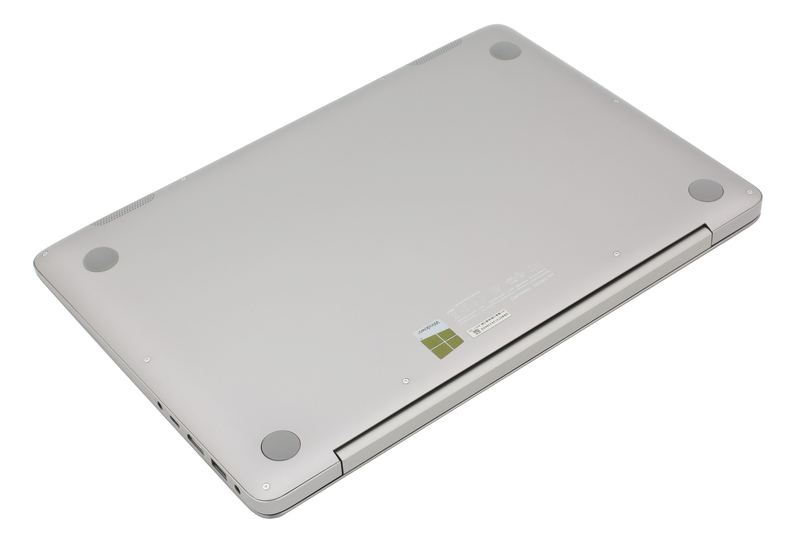 And the same battery is found inside the 13-inch model – 48Wh. The cooling solution is also identical and relies on just one small heat pipe going across both chips and connecting the cooling fan to the heat sinks. 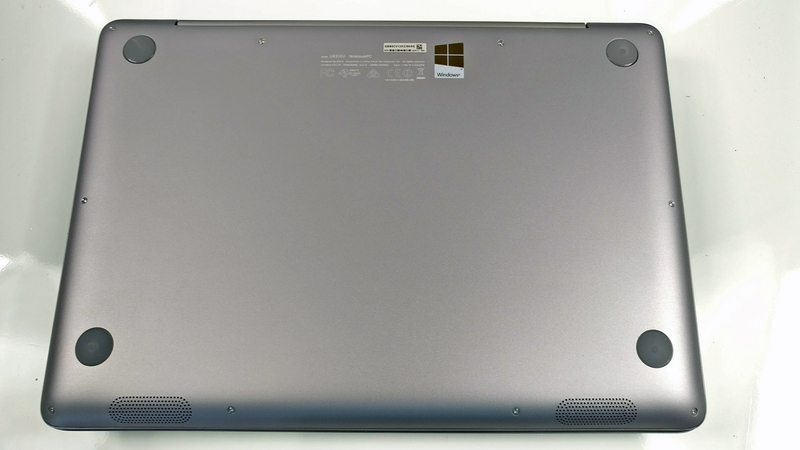 The ultrabook uses a familiar 13.3-inch Ful HD (1920×1080) IPS panel from AU Optronics with model number B133HAN02.7. 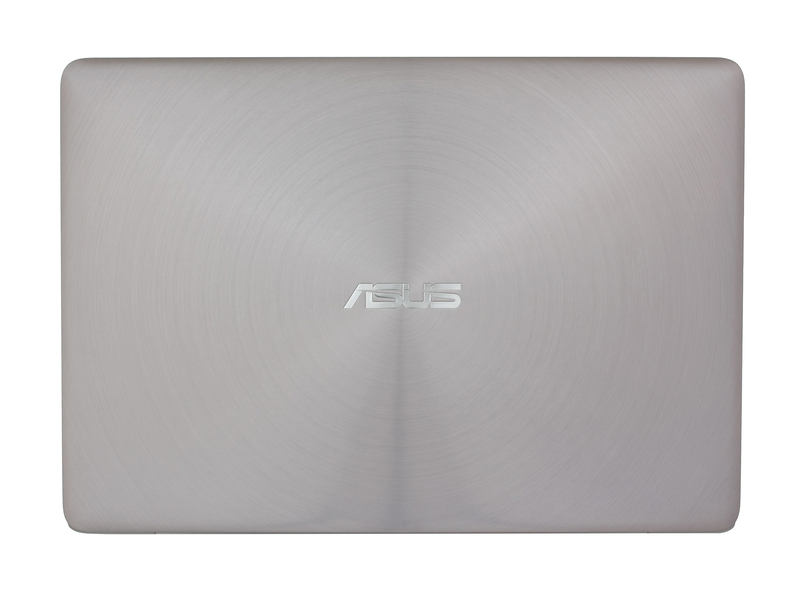 The latter can be found in the ASUS ZenBook Flip UX360, however, this one is largely different from the one we’ve tested before. Anyway, the pixel density remains 166 ppi and pixel pitch of 0.153 x 0.153 mm is still at hand. It can be considered as “Retina” when viewed from a distance equal or greater than 50 cm. The screen offers excellent viewing angles. We were able to measure a maximum brightness of 368 cd/m2 in the center and 353 cd/m2 as average across the surface. This means that this version of the panel is about 40% brighter than the previous one we’ve tested on the ZenBook UX360. 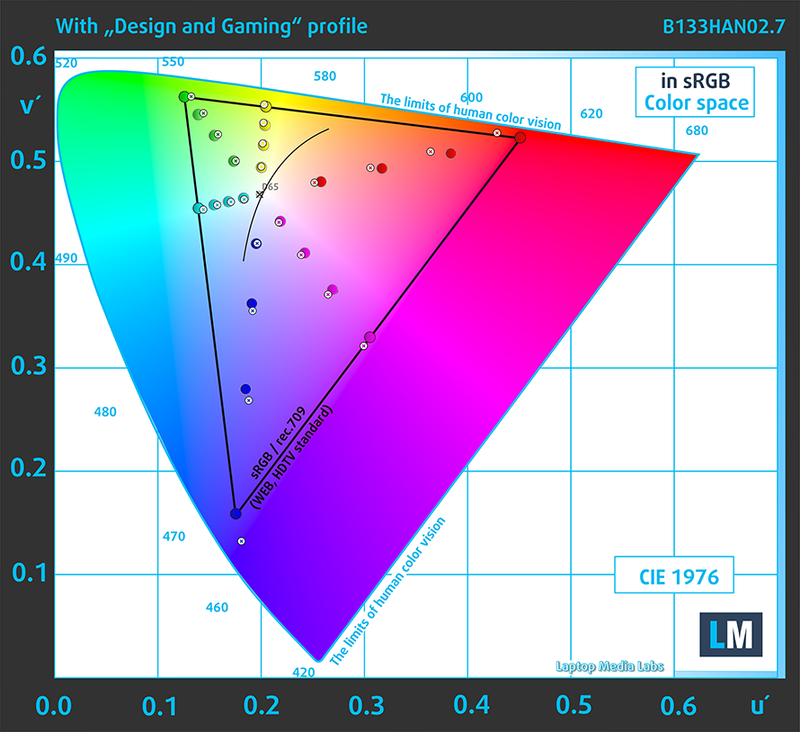 The maximum deviation regarding backlight uniformity is just 6%. We’ve recorded slightly colder than usual color temperature at maximum brightness – 7280K. But as we go along the grayscale, the color temperature falls down a little – 7000K but still colder than the optimal 6500K. Below you can see how these values change at 140 cd/m2 (about 48% brightness). The maximum color deviation dE2000 compared to the center of the display is just 1.7, which is a pretty good result since values above 4.0 are usually unwanted, especially when color-sensitive work is involved. 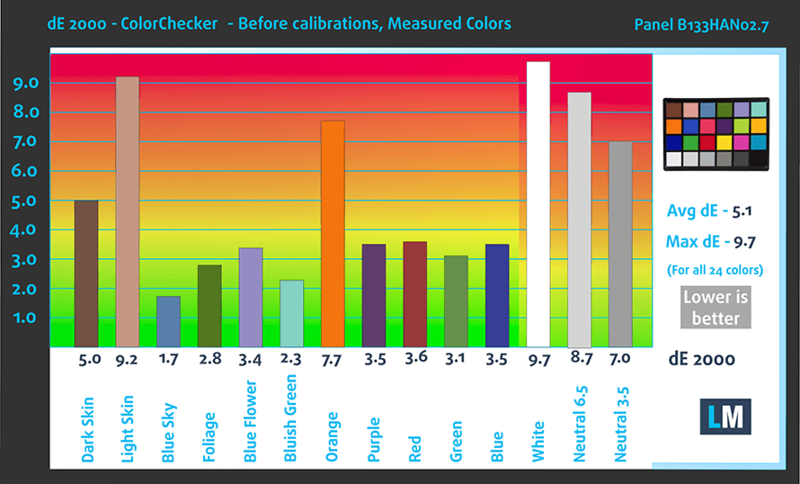 The contrast ratio is also excellent – 1200:1 before profiling and 1000:1 after calibration. 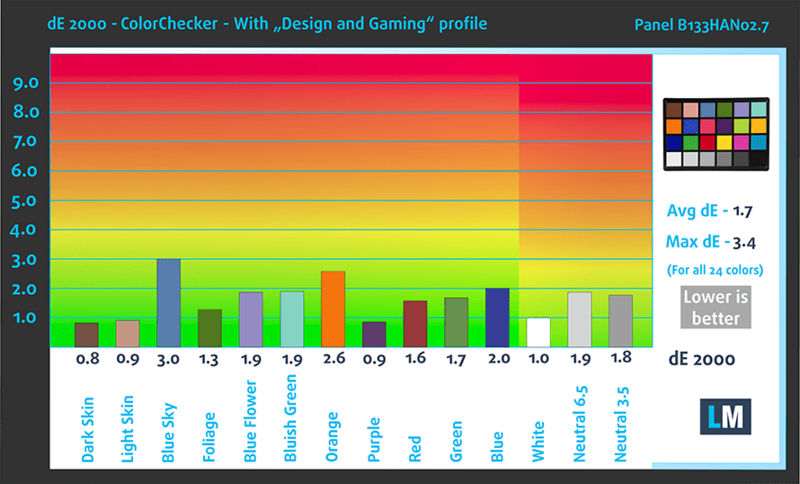 Again, we got much better result here than the other version of the panel – 94% coverage of the sRGB color gamut. That’s almost double the coverage. And here’s the one thing in common between the ZenBook UX360 panel and this one – both use PWM but only below 100 cd/m2 (30% brightness). This means that in the most common brightness range, your eyes won’t experience any issues with screen flickering. But keep in mind that we strongly recommend keeping the brightness level above 30% at any time since the frequency of the emitted light is extremely low and “aggressive”. At first, we were disappointed to find out that both ultrabooks share the same panel as the ZenBook UX360 uses a somehow budget type of IPS panel and we expect a higher quality display on the ZenBook UX310UQ. To our surprise, this is probably a revised version of the panel scoring excellently in our tests. The display is not only good for the usual browsing and office work, but potentially for multimedia and color-sensitive work on the go (thanks to our custom profiles that bring dE2000 down to just 1.7). In any case, you can enjoy an IPS panel with high maximum brightness suitable for outdoor use, excellent contrast ratio and wide sRGB coverage. PWM is present only below 100 cd/m2 making the panel safe to use for long periods of time (as long as you keep the brightness level above 30%). The sound quality is on par with the competition – we’ve got clear lower frequencies and small deviations in the mid and high range. 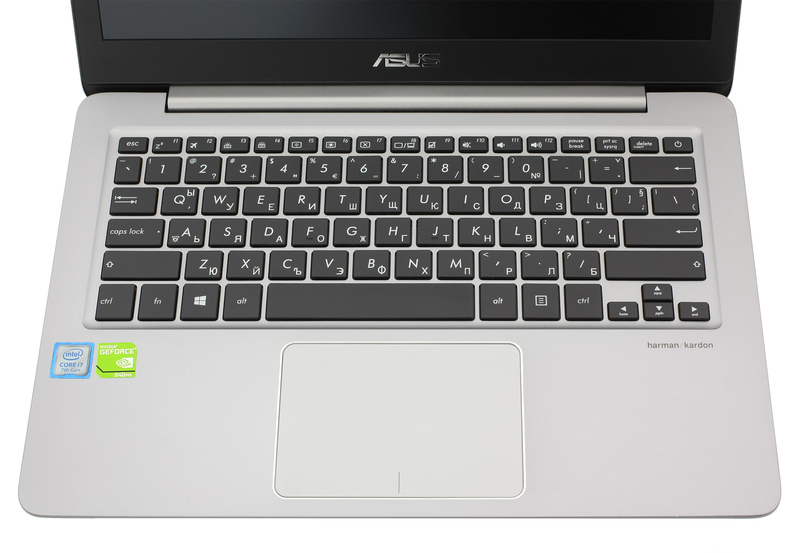 We used the already installed Windows 10 Pro (64-bit) for the writing of this review but if you wish to perform a clean install without the bloatware, we suggest downloading all of the latest drivers from ASUS’ official support page. 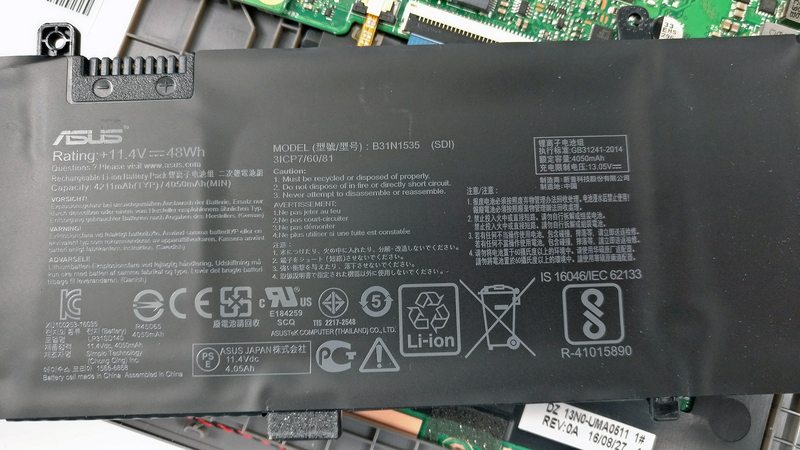 The laptop sports a 48Wh battery that might not seem a lot but for a 13.3-inch casing and hardware that’s not so demanding, the unit keeps the lights on for quite some time. The Core i7-7500U CPU and the 13-inch IPS panel are the main components drawing so much power but still manage to keep the notebook running for longer than expected. The results from the web browsing and video playback are more than satisfactory. And interestingly, the 14-inch ZenBook Ux410UQ scored better in both battery tests and the only reason we could think of is the panel. Although the 13-inch screen should draw a bit less power, it seems that the panel itself is the culprit here. Keep in mind, though, that these are just assumptions. Of course, all tests were run using the same settings as always – Wi-Fi turned on, screen brightness set to 120 cd/m2 and Windows battery saving feature turned on. Pretty good result on the web browsing test – 420 minutes (7 hours). Higher than expected video playback score – 448 minutes (7 hours and 28 minutes). Of course, the laptop isn’t made for gaming but it’s good to know that it can run for almost three hours under heavy workload – 171 minutes (2 hours and 51 minutes). Fritz is a chess benchmark that tests the computing capabilities of the CPU with various chess moves. 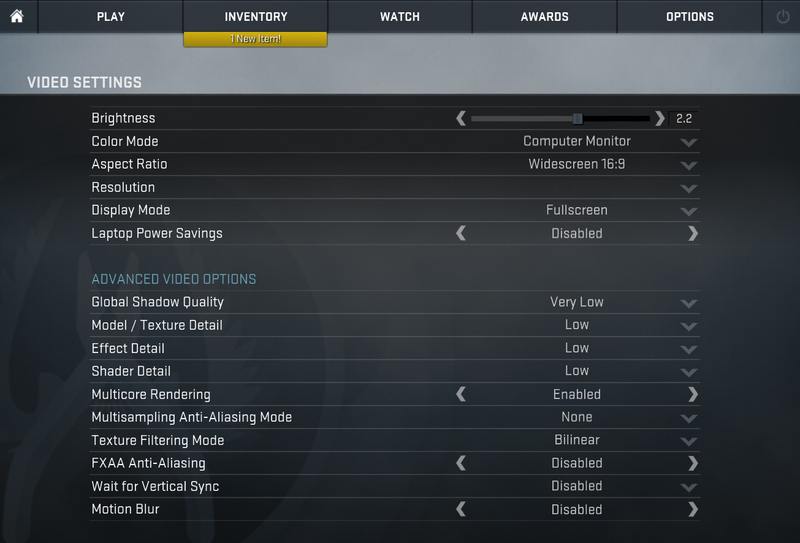 The Intel Core i7-7500U scored 6.888 million moves per second. In comparison, one of the most powerful chess computers, Deep(er) Blue, was able to squeeze out 200 million moves per second. In 1997 Deep(er) Blue even beat the famous Garry Kasparov with 3.5 to 2.5. The NVIDIA GeForce 940MX is a refreshed version of the older 940M mobile chip but with slightly higher clock speeds, which result in noticeably better performance compared to the standard 940M. Announced back in the first quarter of 2016, the chip is almost identical to the standard 940M (Maxwell) but with clock speeds increased up to 1242 MHz and base 1122 MHz. 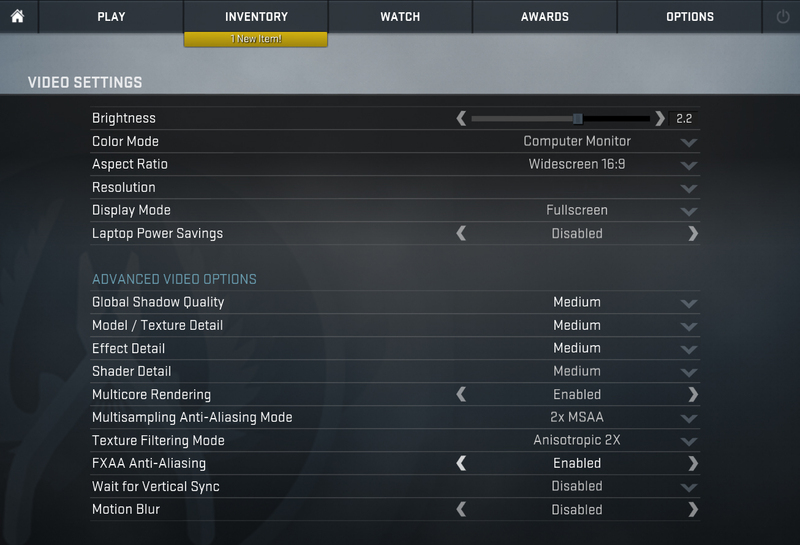 The memory uses a 64-bit bus and has 2GB of DDR3 VRAM. 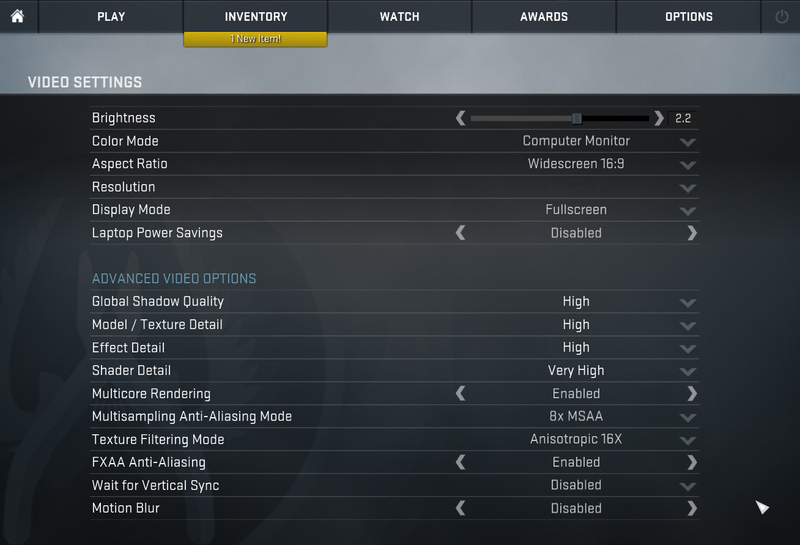 It supports the DirectX 12 API and Shader 5.0 feature along with the usual NVIDIA technologies – CUDA, GPU Boost 2.0, Optimus, GeForce Experience, PhysX. The whole graphics card is rated at around 15 to 30 Watts depending on the clock speeds and memory used in the specific notebook. Keep in mind that the stress tests that we perform don’t represent real-life usage but remain as one of the most reliable ways to assess the overall stability and effectiveness of the cooling system in the long run. We started off with 100% CPU load for about an hour. 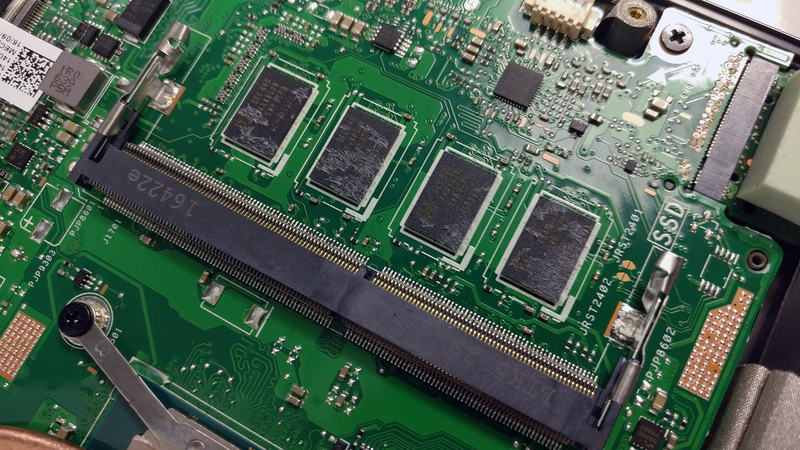 At first, the chip was able to reach its maximum operating frequency of about 3.5 GHz and shortly after that, dropped down to 3.0 GHz and stayed there for good. Temperatures were relatively low. After turning on the GPU stress test, the Core i7-7500U toned down to 2.9 GHz while reaching temperatures just below 85 °C while no GPU throttling occurred – the 940MX was running at about 1188 MHz, although a little hot – 76 °C. Interestingly, the interior remained exceptionally cool throughout the whole test. While the laptop sounds great on paper, there are some things you really need to consider before buying it. First, the thin and light design combined with the powerful hardware has its price and this time it’s noise emissions. The cooling fan is always spinning even if you are not using laptop and it just sits idle. 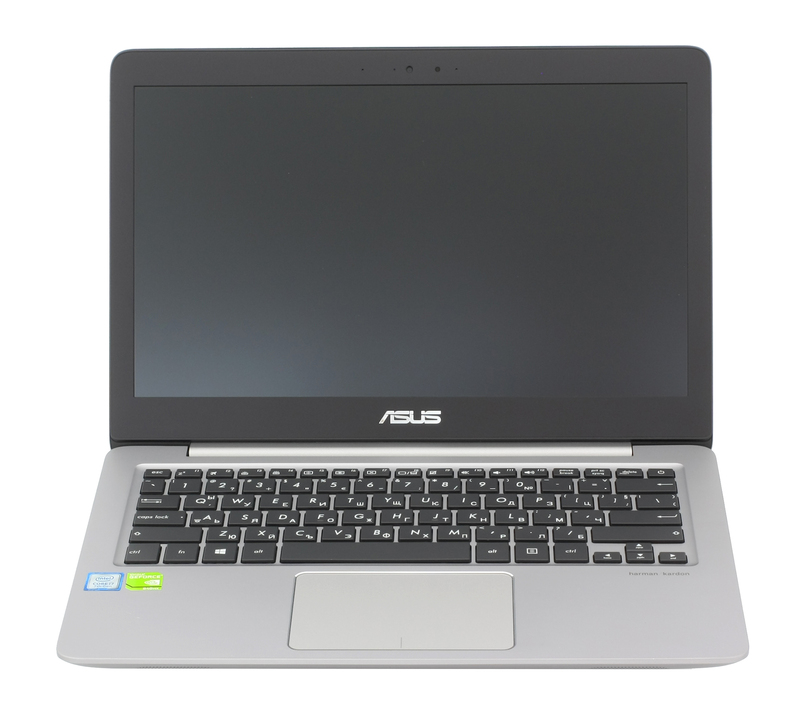 Secondly, there’s already a better version of the notebook that makes this one obsolete – the UX410UQ is nearly identical regarding hardware, build, dimensions, weight, input devices, storage options and performance but packs a slightly larger 14-inch display, somehow longer battery life and slightly better screen. 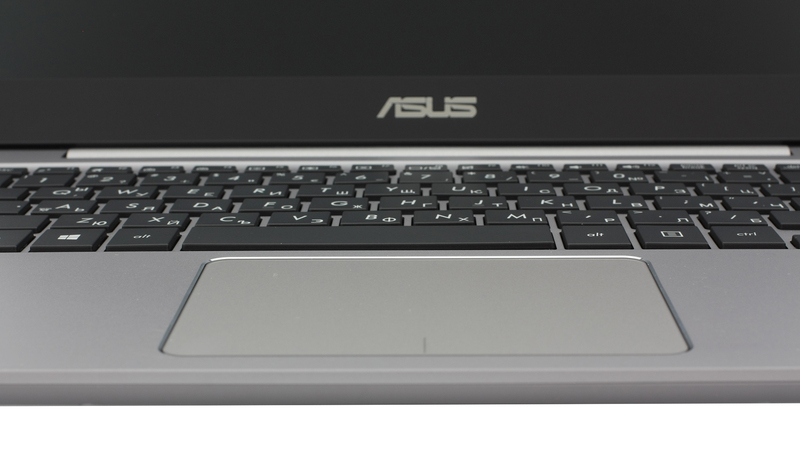 We honestly can’t think of a reason to choose the 13-inch UX310UQ option. In any case, you will be impressed by the build quality, feel, input devices, battery life, performance and upgrade options. On contrary to most ultrabooks, this little fellow packs an M.2 SSD slot alongside a 2.5-inch drive and even one memory slot available for an upgrade. So if you are looking into solid and portable all-rounder at a decent price and the ZenBook UX310UQ happens to be on your “want” list, then we strongly recommend looking into the ZenBook UX410UQ and the recently released Lenovo Ideapad 720s. Both pack a tough punch but only one will suit most of your needs.